My Dad was diagnosed in 2006. Until then we had never heard of Ocular Melanoma. During a routine eye exam, a small freckle was discovered inside his eye. After thorough examination, we were referred to Emory Eye Center. Since the lesion was so small, we were advised to watch it and do nothing unless it started to grow. Dad went every 3 months for check-ups. Then in June of 2009, the tumor showed enough growth to require treatment. Dad had brachytherapy in July 2009. A small patch containing radioactive seeds was sewn to his eye and left there for seven days and then removed. The radiation destroyed the cancer cells in his eye and the tumor shrunk. Dad lost some of the vision in his eye but the cancer was gone. He continued to have check-ups every 6 months. We thanked God for his healing and assumed all was well. Unfortunately, not all doctors are aware of the extremely aggressive nature of OM. It is a very rare disease. The cancer cells are seeded in the blood stream. OM commonly metastisizes to the liver; as all the blood in the body is filtered by the liver. In September of 2013, a little more than four years after the radiation treatment destroyed the tumor in his eye; CT scans revealed a “suspicious” lesion on Dad’s liver, which led to a liver biopsy. Our worst fears were realized….the cancer had spread to his liver. Our doctor referred us to a liver specialist, who recommended liver resection. Since the scans revealed no cancer other than the lesion on his liver, the plan was to remove a large section of the right lobe. Surgery was scheduled for October 31, 2013. However, during thorough examination using laparoscopic telescope before resection; micro-mets were discovered on the left lobe as well. Even though they were too small to be picked up by the scans, rapid pathology proved them to be melanoma. Surgery was aborted. We were devastated. There is no known cure for metastatic Ocular Melanoma. The doctor’s prognosis was only a few months. Dad didn’t look or act sick. His attitude remained positive; he never gave up. He had a passion for life, his family and friends and for serving God. Given our faith, trust and so many people praying for him; we had hope that he would beat this evil disease. Our family doctor recommended a local oncologist who was willing to work on Dad’s case. He began immunotherapy, a treatment which has proven beneficial for cutaneous melanoma. Dad had four infusions, three weeks apart with no adverse side effects. When we went back in February 2014 for post treatment scans, all hopes were dashed when it was revealed that the cancer had tripled in size and new lesions had formed on the liver. The oncologist was very shocked as he told us he had never seen anything so aggressive. We consulted with several other specialists and tried everything humanly possible to get treatment for Dad. Sadly, we were told the disease had overtaken more than half his liver and spread to surrounding tissues and bones. We knew, short of a miracle, he could not survive. But we never gave up, always praying and believing that God is the Great Physician and that miracles are still possible. Dad remained positive, even when he knew the end was near. He kept his faith in God and always had a smile for those who visited him. 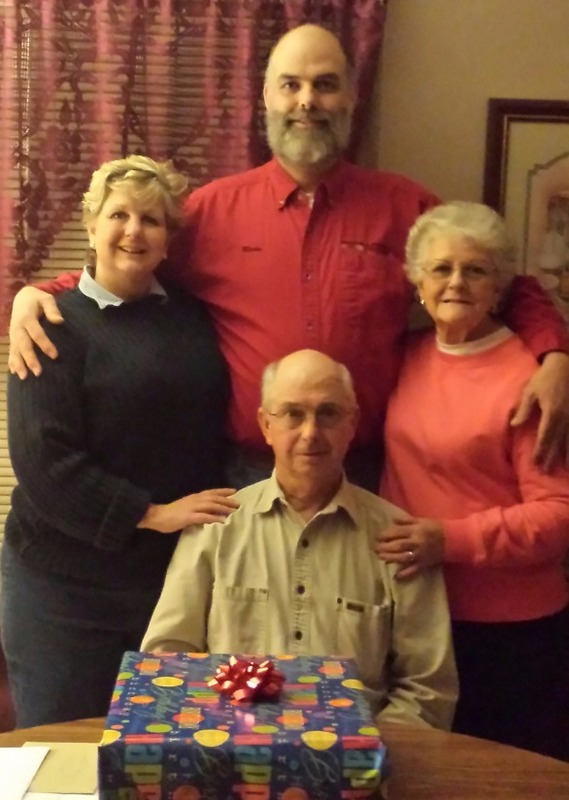 On April 2, 2014 Dad lost his battle with Ocular Melanoma which had metastasized to his liver. Our family now struggles to live in a world without him. We love him and miss him every day. In honor of Dad’s courageous battle with this evil disease and in memory of this very special man, devoted husband, loving father, grandfather and friend; please join us in our mission to raise money for research in hopes of finding a cure for Ocular Melanoma. The Ocular Melanoma Foundation is working diligently to bring better awareness to patients and their families, who are diagnosed with this disease. All contributions are gratefully appreciated. 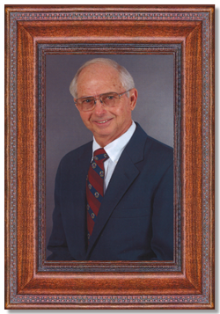 John Sherron Muse, age 73 of Carrollton, passed away Wednesday, April 02, 2014. He was born November 20, 1940 in Carroll County, to Mrs. Hazel Ruth Driver Muse and the late, Mr. John C. Muse. He proudly served in the US Army National Guard and was a member of Pleasant View Baptist Church. Sherron Muse has been a loyal and caring Funeral Home Assistant with Martin & Hightower Heritage Chapel for eight years. Besides his father, preceding him in death is his brother, Gary Muse. Survivors include his loving wife, Charlotte Cole Muse of Carrollton; mother, Hazel Muse of Carrollton; daughter, Sherri Muse Pope of Carrollton; son, Ricky S. Muse of Carrollton; brother and sister in law, Steven and Jane Muse of Carrollton; grandson, Dylan S. Pope of Carrollton; and several nieces and nephew. 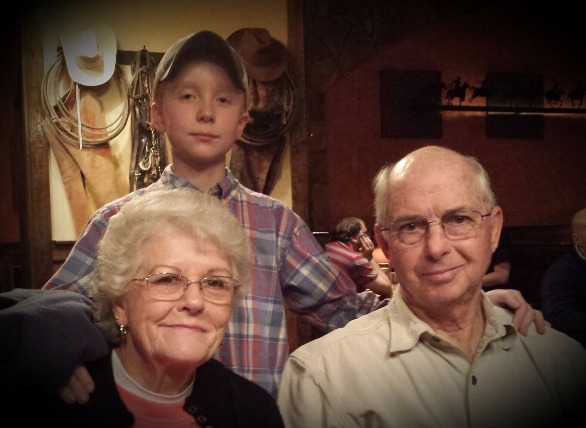 Funeral services will be conducted Saturday, April 05, 2014 at 2:00 PM from Pleasant View Baptist Church with Rev. Myles Brown, Rev. Jimmy Bryan and Rev. Talmadge Chandler officiating. He will be placed in state at the church at 1:00 PM. Interment will follow in the church cemetery. Pallbearers will be Jeff Muse, Dan Henderson, Keith Cole, Randy Cole, Daniel Cole, and Earl Bonner. Honorary Pallbearers will be Pleasant View Baptist Church Deacons. The American Legion 143rd Post will play TAPS and present the American Flag. The family will receive friends Friday, April 04, 2014 from 5:00 PM until 8:00 PM at Martin & Hightower Heritage Chapel. In lieu of flowers, the family request donations be made to www.ocularmelanoma.org . Messages of condolence may be sent to the family at www.martin-hightower.com. Martin & Hightower Heritage Chapel of Carrollton has charge of the arrangements. 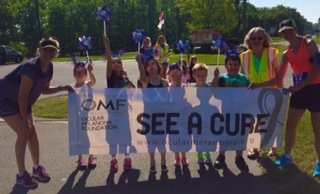 If you have any questions or want further information about Warrior fundraising with OMF, please email tributes@ocularmelanoma.org.